Hi my name is Megan, and I’m addicted to Starbucks. Honestly, this time last year you couldn’t force feed me coffee – I had never been a big fan and I was okay with that. But, I can remember very specifically the exact moment when that all changed. Working a very, very early morning shift, my manager asked me if I wanted anything from Starbucks as a pick me up. Because I had no idea even what the menu looked like, I told her hesitantly to just get me whatever she was having (worst thing that could happen is that I didn’t like it and could pawn it off to another co-worker). So, she returned a few minutes later with two Venti iced drinks in hand. I was confused . . . It didn’t look a whole lot like what I was expecting. Made with coconut milk on the bottom, shots of espresso on top, all over ice, she handed me an Iced Caramel Macchiato, and I was never the same. This is the drink I’m seen with most often. 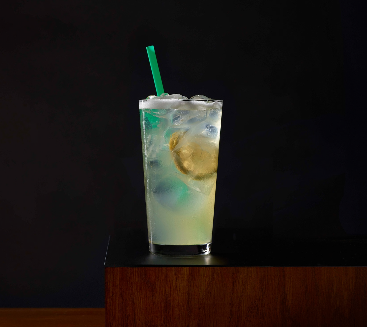 This refreshing beverage is lime, citrus and hints of mint and cucumber, shaken with real lime slices. I know, I know, those who know about this drink are saying, “but Megan, that’s not even coffee” . . . And they are right, but it does have Green Coffee Bean flavour in it which gives you a perfect amount of caffeine, without the taste of coffee . . . Sooo perfect for a hot summer day! 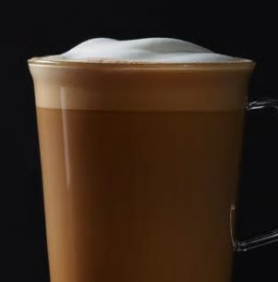 Speaking of the Blonde roast, Starbucks introduced a new drink to go along with this new addition which is a Cold Foam Cappuccino. 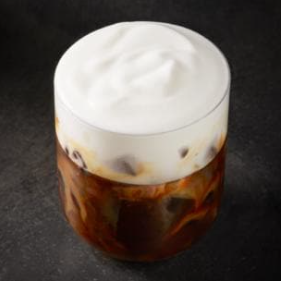 Served over ice, the espresso and a splash of milk lay under a silky smooth later of frothed cold foam. It has a strong but sweet espresso flavor, but is cool, velvety and refreshing.